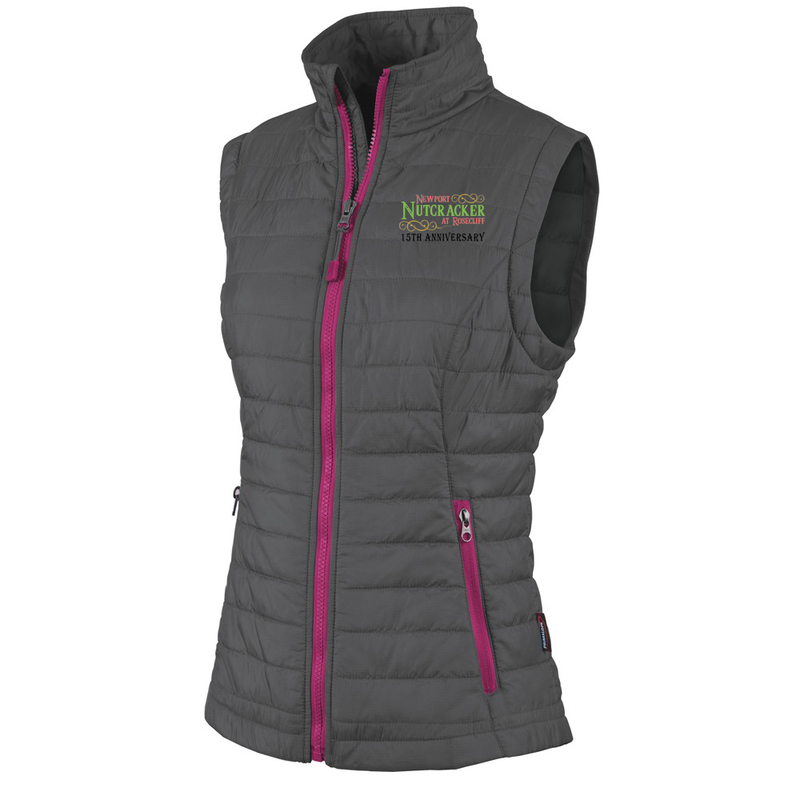 This eco-conscious quilted vest for women features the Nutcracker logo embroidered on the left chest. 100% Dobby Polyester shell made exclusively from recycled PET bottles. Certified and guaranteed recycled. Lined with PrimaLoft® SPORT (60 gm²) for premium insulation performance. Engineered for superior warmth. Ultra compressible fabric allows vest to pack into side pocket. Features narrow, horizontal quilted pattern with contrast-colored zippers & lining. Full zip styling with wind flap. Stand-up collar with chin guard. Zippered on-seam pockets. Dropped tail hem for added coverage. Sculpted modern fit with princess seams.